As the population of the planet grows exponentially and agricultural land becomes increasingly degraded through intensive industrial agriculture and the ravages of Climate change, pressure on the finite resources of the planet has never been greater. 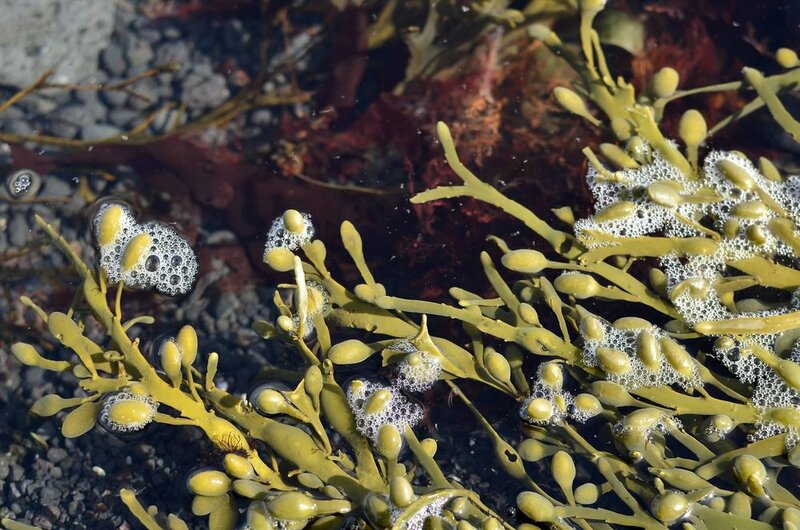 To many of the problems we face Seaweed may well be the solution, as John Cunningham, JONAA's Marine Science Editor explains in his series of articles on Seaweed. Many of those finite resources, such as fossil fuels, upon which humanity has become critically dependent are now known to be rapidly disrupting the very fabric of the biosphere and our species has a very narrow window in which to reform our destructive behavior, or face the cataclysmic consequences of an economy structured to be oblivious to it’s very means of sustainability. In these dire times, a savior is emerging. The very organisms responsible for the creation of life on the planet may hold the key to our salvation and that savior is seaweed. Multicellular photosynthesizing marine organisms changed the biochemistry of the planet during the Great Oxygenation Event 2.45 billion years ago and it has the capacity to do so again by not only stripping the excess Carbon Dioxide (CO2) from our atmosphere and oceans, but also to provide an almost limitless supply of highly nutritious food, replace destructive energy sources and offer the potential of revolutionary new medicines as the old ones cease to work. Objectively, seaweed is nothing short of miraculous and our discovery of its enormous potential comes as all other options appear to be failing. It forms the very roots of the tree of life, offering redemption and sustenance in our hour of dire need. Seaweed represents the zeitgeist of our age and with very careful and considered nurturing and the utmost respect, it might just save humanity from a self-induced apocalypse. If in doubt, read on, if not, read on anyway. The only thing to lose is the future of the planet. John Cunningham is JONAA's Marine Science Editor. John studied Geography and Marine Science at the University of Glasgow and has dedicated his career as a freelance photographer to issues of environmental importance, conservation and underwater ocean life - very much in High North Waters.